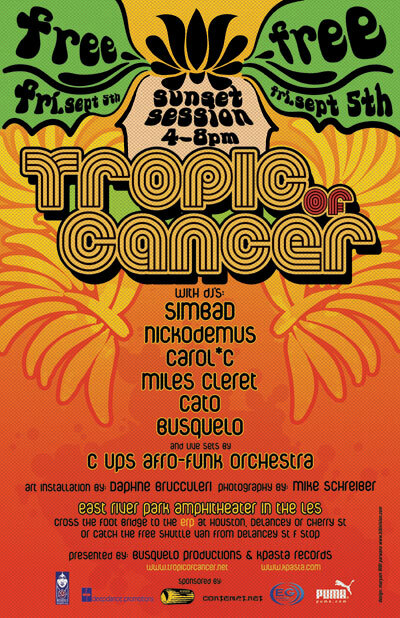 Tropic of Cancer, founded in 2004, is an annual festival that celebrates the influence of tropical culture on urban underground music and art. Each summer, a benefit event brings together cutting edge DJs, musicians, and artists to create works that are based on the theme “the soul of the tropics.” This year we marks the first Tropic of Cancer event being held in a public new york park with free admission. An all star line up of 6 DJs and 1 10-piece afrobeat band, all within 4 hours, will make for a feature rich music presentation. An art installation by Daphne Brucculeri (www.daphnebrucculeri.com) will feature a painted room into which people may enter and receive a portrait photograph by photographer Mike Schreiber (www.mikeschreiber.com) . Later the photographs will be composed into a poster to commemorate the event. The East River Park Amphitheater, recently renovated, is one of the most beautiful and well laid out locations in New York City to hear music. It is also the location of the final music scene in the hip hop classic Wild Style. 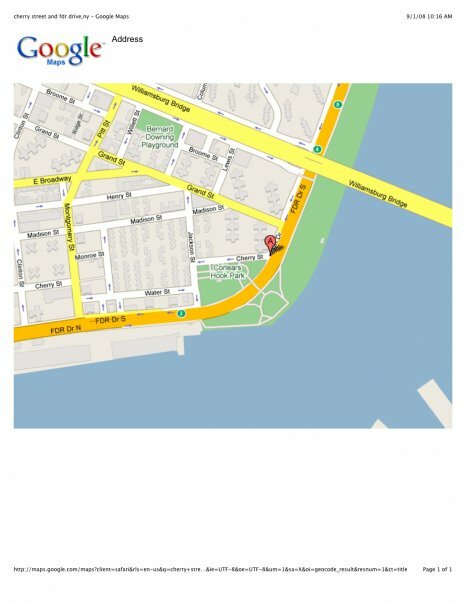 At the East River Park Amphitheater @ Cherry Street and the FDR. Free shuttle van will be running back and forth between the Delancey St F station and the park. PUMA , EGSound, DeepDance Promotions, Contempt (celebrating their 10th anniversary!) KPasta Records, & Busquelo Productions.